Today is Monday April 9th 2018 and ALB Tech will be open from 11am to 5pm. The deal of the day today is the British Accent Discount. It is very simple. Come into the shop for free diagnostics or repair and speak with a British accent. 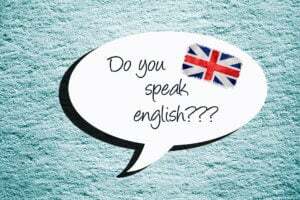 It is usually fairly obvious that you are talking with an accent so we’ll know that you a.) read this post and b.) are deserving of the excellent deal of the day discount off your service total. WikiHow has a great has a great tutorial on how to speak with a British accent in case you are drawing a blank. If you’ve got the accent covered and are in need of computer repair, stop by the shop and communicate using your accent! We’ll be fixing stuff and things for six hours today so there’s more than enough time to stop by. While there don’t forget to talk using your best British accent and we’ll apply the 18% deal of the day discount to your total. Thanks for taking the time to read all the way through this post – we hope to see you / fix your stuff / hear your accents today! **If you natively speak with a British accent, please speak in a forced American Accent. Fun times. Today is Monday April 9th 2018 and ALB Tech will be open from 11am to 5pm. Yes – 5pm, it’s a Monday!